This book is the culmination of years of thought. 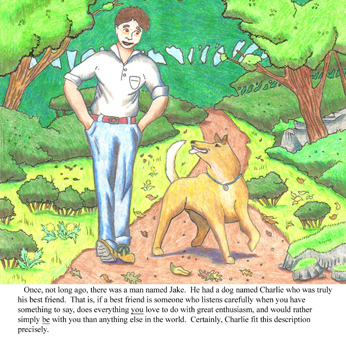 The author wanted to write more than just a boy/dog story. 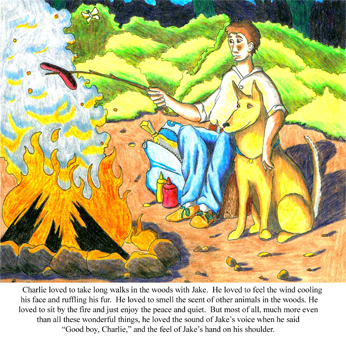 She wanted her story to give children something really to think about. However, she did not want to be “preachy.” She has accomplished her goal. 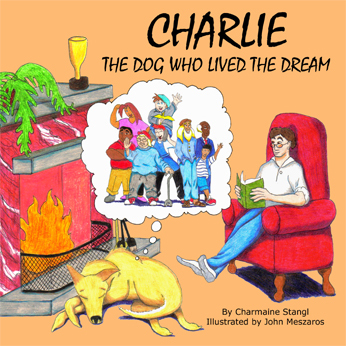 It is a beautifully-illustrated work that has Charlie, a very special canine, show how children should treat people of all ages. 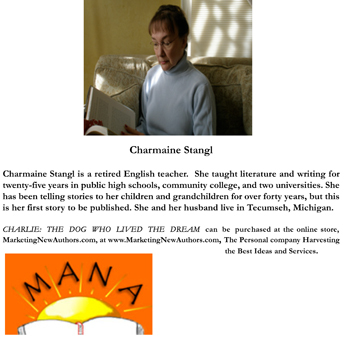 Charmaine Stangl is a retired English teacher. She taught literature and writing for twenty-five years in public high schools, community college, and two universities. She has been telling stories to her children and grandchildren for over forty years, but this her first story to be published. She and her husband live in Tecumseh, Michigan.